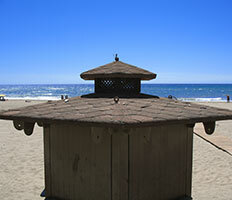 Estepona is located in Malaga province at about 70 kilometres from Malaga Airport. 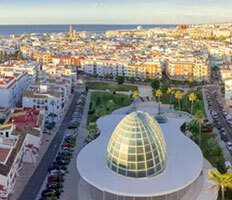 Our company offers airport transfers, excursions, tours and day trips to Estepona in luxury cars at normal taxi rates. Enjoy comfortable transfers with a friendly, English speaking driver. 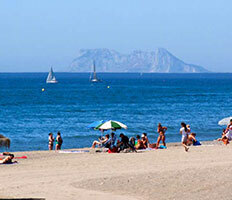 Estepona is a holiday destination for many tourist because for the 325 days of sunshine and 21 kilometre of beaches. Selwo adventure - Safari park which houses about 2000 wild animals from different parts all over the world. All terrain lorries who drive through the park's wild territories where animals such as Elephants, Camels, Bison's live. Mini speedboat trips to watch dolphins - you can pilot your own speedboat to go and watch the dolphins in the Mediterranean Sea. A guide will come with you in a separate boat and will show you the route to view the dolphins in their natural habitat. 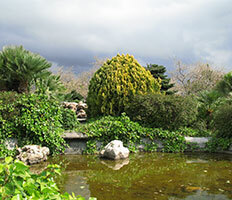 Play golf - as in nearly all towns at the Costa del Sol, in Estepona you will also find several golf courses. Don't forget, Malaga Airport Transfers offers transfers in people carriers spacious enough to fit your golf bags! Visit the weekly market - every Wednesday morning - fruit, vegetables, clothes and other products for sale at competitive prices. 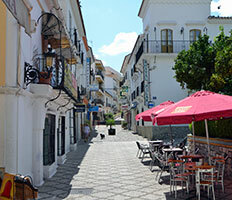 Beaches - Estepona has about 21 kilometres of sandy beaches, of which "playa de Cristo" the most famous one, with life guards and chiringuitos (beach bars) to enjoy a cool drink of nice meal. 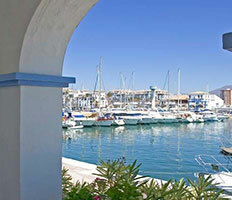 Fishing port - Estepona port and marina, daily fresh fish for sale, also the location for the Sunday street market selling textile, handmade goods, leather etc. At the port there are also numerous restaurants where you can enjoy a meal of, fritura malagueña (fried fish), grilled fish, shrimps etc.